If you are looking for a full service AC company in Jupiter, FL, look no further than East Coast Mechanical. With an expert team of hard-working and experienced air conditioner technicians, we’re the premier AC company in South Florida. In fact, we’re the largest air conditioning company in the region! Not only have we been family owned and operated for over 30 years, we’re also an integral part of our community. We work hard to meet your needs, and your comfort and satisfaction is our business! Jupiter’s most reliable air conditioning contractor! Are you looking for a dependable and trustworthy AC repair company in Jupiter,? Not all air conditioning repair companies are as reliable as East Coast Mechanical. For over 30 years, we’ve been delivering high-quality and reliable AC repair to our customers in the area. We even offer 24/7 emergency AC repair in Jupiter so we can get your system up and running again ASAP! Simply give us a call, day or night, and we’ll be there. All homes in Jupiter should have the proper air conditioning system installed. No matter your home’s situation or your personal budget, we can help. We’re Jupiter’s AC installation and replacement experts! Jupiter’s best all-around AC installations! Last but not least, East Coast Mechanical also offers dependable air conditioning maintenance for your home AC system. 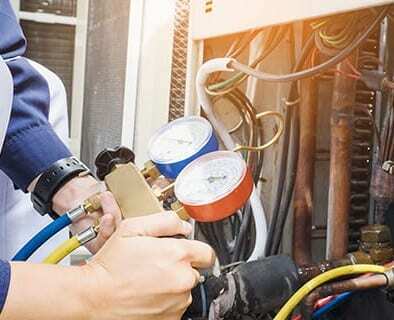 Maintenance provides many benefits, including helping your air conditioner run more smoothly, preventing future breakdowns, and saving you on monthly energy bill costs! Whenever you’re ready to book your AC service appointment, please give us a call and we’ll be there on time and ready to work. Trust us as the top Jupiter AC contractor! Your Comfort is Our Business at East Coast Mechanical!